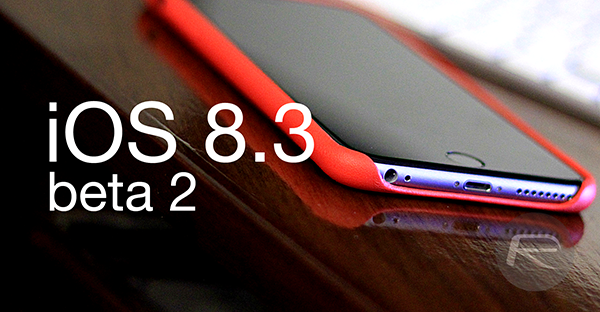 Apple has just released download links of iOS 8.3 beta 2 build exactly two weeks after releasing first beta of iOS 8.3. Details on what’s new, and how to get it is detailed below. The arrival of the inaugural iOS 8.3 beta just two weeks ago was surprising to many, especially given that iOS 8.2 is also currently being prepared for public consumption. It’s certainly an unusual step on Apple’s part, although with iOS 8.4 said to be headed to market before iOS 9 arrives in the fall, it’s fair to say that the traditional cycle of software development and release has been sped up this time around. As a part of this ongoing process, iOS 8.3 beta 2 is now available to download, and if you’re a registered developer, you can grab it up right away. As we covered in the news of the first beta’s release, iOS 8.3 offers quite a few new features to the table – the most noteworthy of those features being Wireless CarPlay. Introduced a year ago along with iOS 7.1, CarPlay’s roll-out has been a gradual process thus far, and for those early adopters, iOS 8.3’s arrival will offer a wireless solution allowing users to do away with their Lightning cables. The initial beta also informed us that iCloud Photo Library was itself no longer in beta, while Google account log-ins would reap the security benefits of two-factor verification. There’s also a new emoji picker to behold, which ties in nicely with code found in OS X 10.10.3, suggesting that custom emoji characters could eventually be a thing, while iOS 8.3 also offers CloudKit and iCloud Drive improvements and Apple Pay support for the Chinese market. The second beta is likely to include bug fixes and minor adjustments to the aforementioned list of new features. We’re giving this software a whirl right now, and so if we do spot anything, we’ll be sure to update you guys accordingly. Provided that you’re a paying dev, you can install iOS 8.3 beta 2 via Software Update in Settings > General. 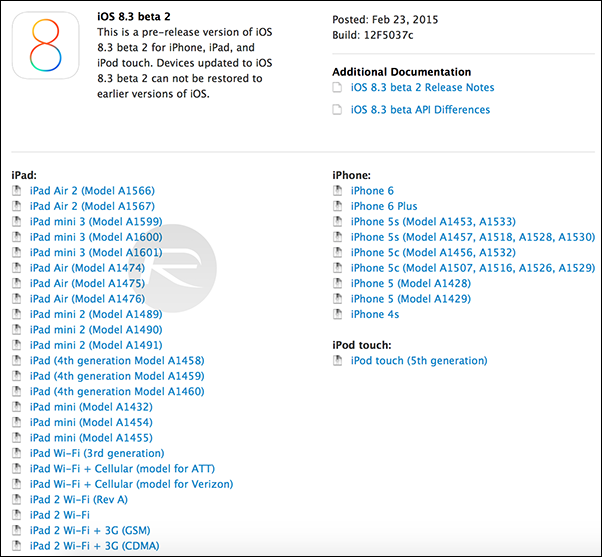 If you feel stuck as to whether to grab iOS 8.2 beta 5 or this iOS 8.3 beta 2, it should be noted that the former is not expected to be subject to any further improvements before releasing, which, the last we heard, would be some time in March. So, be sure to test out this all-new beta, and if you spot anything interesting, do let us know by dropping a comment below! WHO CAN GIVE URL FOR DOWNLOAD iOS 8.3 BETA 2 FOR iPHONE 5s A1530? через пару минут начну с ней разговаривать ! где можно скачать на 6-ку? По воздуху не хочет обновляться. Siri is Turkish now good improvement Apple thanks.